209,24 € прибл. 15.059,40 руб. 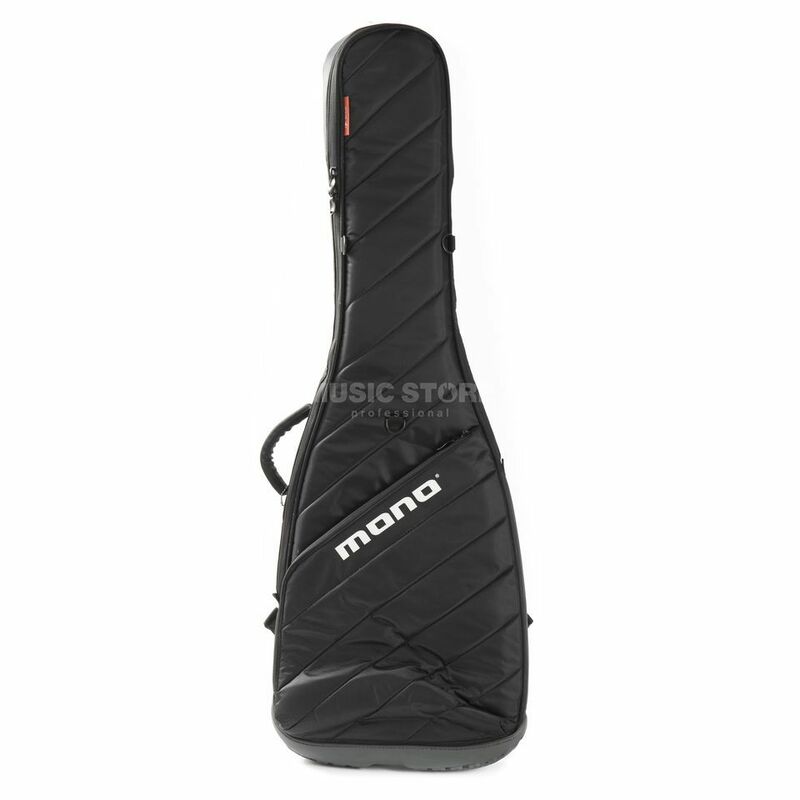 The Mono M80 Series Vertigo Bass Guitar Gig Bag Black is the world's first top-loading guitar case featuring automatic neck support and ‘The Boot’, a rubber sole designed for unsurpassed protection against vertical drops. The fully redesigned Headlock neck suspension system means no strapping, buckling or belting required. Just throw your bass in and the neck finds a natural resting point in the base of the Headlock. Then zip the case up and the top section of the Headlock automatically clamps down over your bass, holding it firmly in place. Your headstock is now fully protected against backward drops and side-to-side impact. Another first of its kind, The Boot takes guitar protection to a new level. Using manufacturing technologies from the footwear industry, the Vertigo can bounce off concrete without damage to the instrument. With its custom moulded rubber outsole and EVA insole, The Boot also protects strap pins of all shapes and sizes from those nasty vertical drops. Other premium features include a modular storage compartments, ABS panels delivering hardcase protection at a fraction of the weight, industrial webbing riveted handle with a comfortable grip, Hypalon industrial rubber sole and double steel zippers. Fits most electric basses including Fender, Sandberg, Warwick, Ibanez, Tobias etc.